Yes, Cal and I (the BugDoc) are still contributing, but only every other week! We will also tend to make our musings a bit shorter! Tonight, I’d like to cover one of my favorite lines, made by Fenton, their #1700 or Sheffield line. 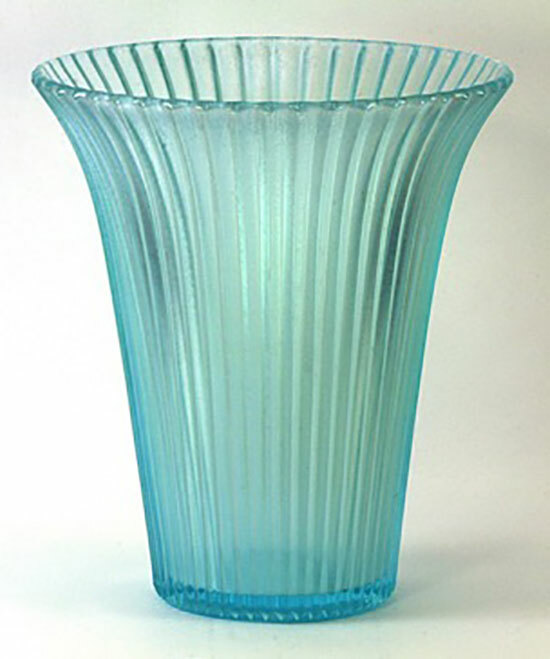 In a 1932 era catalog page (on page 86 of Fenton Glass, The Second Twenty-five Years), only the large vase is shown in an “Azure Blue Assortment” which appears to be the same as their Aquamarine stretch. This vase is also known in Persian Pearl. What is fascinating to me is the number of top treatments given to these vases. Because of the deep, external ribs, these vases are really heavy and it must have taken some work to make the various top treatments. All have ground bases. 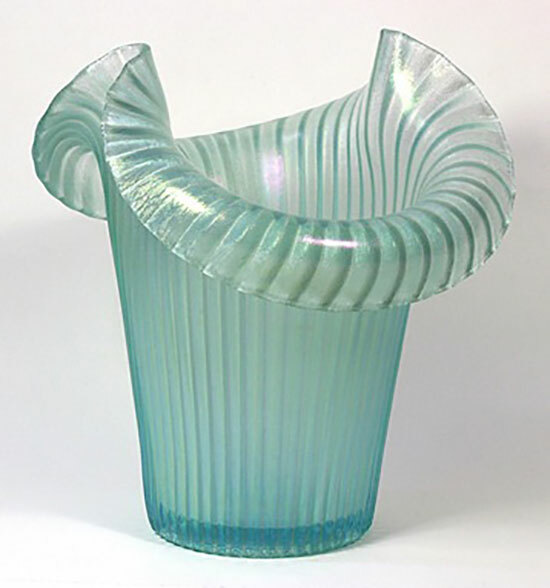 These vases are quite rare and highly prized by stretch glass collectors. The first example has a flared top which is figured in the catalog page. This one is also known in Persian Pearl. The next example has been found in Aquamarine and Persian Pearl. It has the rolled rim with two sides up. This couldn’t have been easy to shape! The next one in Persian Pearl has a really odd top treatment with the vase being flared out in the middle but crimped in and flared out again. I have seen the Sheffield vases with the rolled rim top (also in the catalog pages), but I didn’t get pictures! 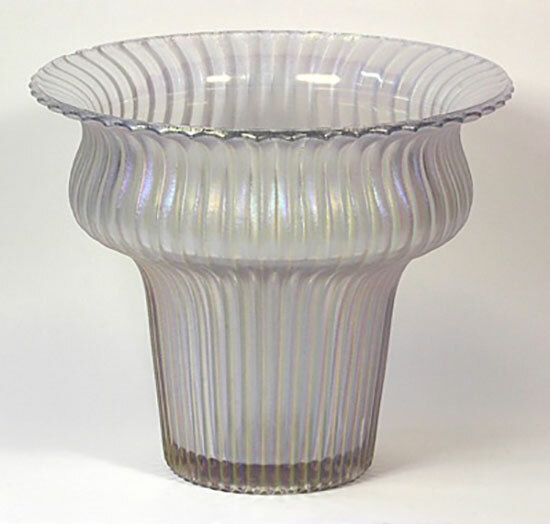 To make things more confusing, Fenton found some of the Sheffield molds in the 1990s and they remade a small footed vase and three-footed bowls with the stretch effect. 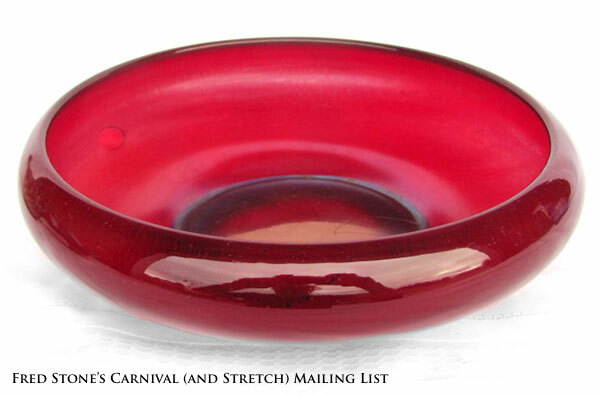 While most of the newer pieces have logos, the little rose bowl vase figured here has no hint of a logo! 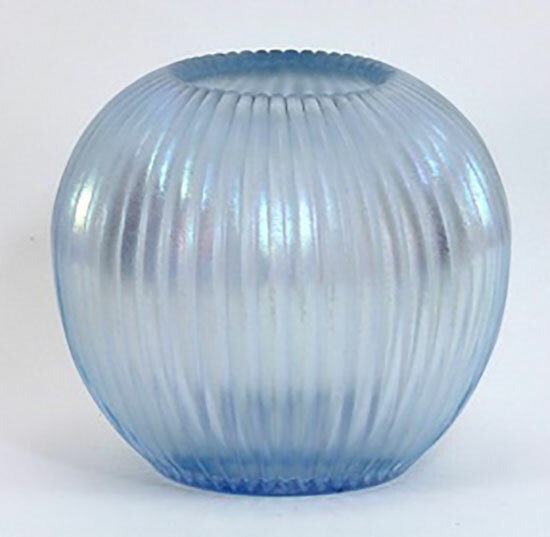 When you put this vase next to some of the original Aquamarine ones, you will see that this newer vase has less green in the color (most likely the Velva Blue).